I know there was some talk of bringing NVLink to GeForce products a long time ago, but I haven't heard anything lately. NVLink on a prototype board does not mean consumer products will feature it, but at least it indicates "GV102" supports it. I do wonder why they have rotated it vs. other boards. NVLink could be needed when the data being shuffled around increases past a certain limit. But I don't think we're there just yet. It's only a little bigger as GP102 so it's either a small Volta, which I find unlikely, or the big Turing with ~ 72 SMs. Ya, I keep seeing people note that developers, etc. want to eliminate multi-gpu...that would be kinda crappy for some gamers. I mean right now the only way I am able to play a # of my newer games in 4k / 60fps is because of SLI. Without SLI, most folks would be stuck in the 1440p / 1080p resolutions still if they want to play with excellent framerates. So I am hopeful that you're right and it's just maybe a newer connector with more bandwidth, etc. Yeah I don't really see multi-gpu dying..Nivida loves to sell extra cards they won't let it die. GV100 and GV102 will have 6 GPCs, 84 SMs and 5376 Cuda cores. GV104 will have 4 GPCs, 56 SMs, and 3584 Cuda cores. GV106 will have 2 GPCs, 28 SMs, and 1792 Cuda cores. GV102 will have fewer fp64 units, but we don't yet know if the tensor unit count is the same. IMO, Volta was a pure AI/HPC oriented GPU so I doubt we'll see it ever in mainstream consumer cards. They might have a GV102, just like you said but not the rest. That will be based on Volta_v2/Turing. TSMCs 12nm process offers about 20% higher density.. They would have to go beyond 400mm² for 40% cores, something they haven't done for their high end chips. Yeah I don't really see multi-gpu dying..
Oh it's dying, make no mistake. Support has already been moved from the drivers to DX12 and Vulkan and pretty much no developer cared enough to pick up the slack. Nivida loves to sell extra cards they won't let it die. Considering multi GPU is run by less than 1% of the users (and not all of them are running Nvidia), I'd be really surprised if extra income from that segment actually registered on Nvidia's radar. TSMCs 12nm process offers about 20% higher density.. They would have to go beyond 400mm², something they haven't done for their high end chips. It will feature the resources needed for raytracing through Nvidia's "RTX technology", which Pascal lacks. But GV102 might not have the same amount of tensor cores as GV100. Where do you get that TSMC's "12 nm" is 20% denser? GV100 is not denser, and TSMC "12 nm" is still the same node just with improved thermals. Pascal is not pushing the maximum density of TSMC's "16 nm". Expect the density of GV102/GV104 to be in the same range as before. SemiWiki: "12nm FFC offers a 10% performance gain or a 25% power reduction. 12nm also offers a 20% area reduction with 6T Libraries versus 7.5T or 9T." But then again 12nm FFN is not the same as 12nm FFC. So those numbers does not apply. Ah OK, that slipped past me. Nvidia have made large chips for the mainstream before, like GM200 at ~601mm². It really comes down to yields and production volume. GP102 struggled a lot with yields in the beginning, leading to Titan X (Pascal) being sold out despite its high price and GTX 1080 Ti being delayed from around December 2016 to March 2017. The larger GP100 didn't seem to suffer from such problems, so it comes down to mistakes in the design, and GTX 1080 Ti did eventually ship in very high volumes. Similarly, the launch dates and prices of "GV102" based products will depend on yields. We don't even know yet if "GV104" and "GV102" will be segmented the same way as GP104 and GP102. 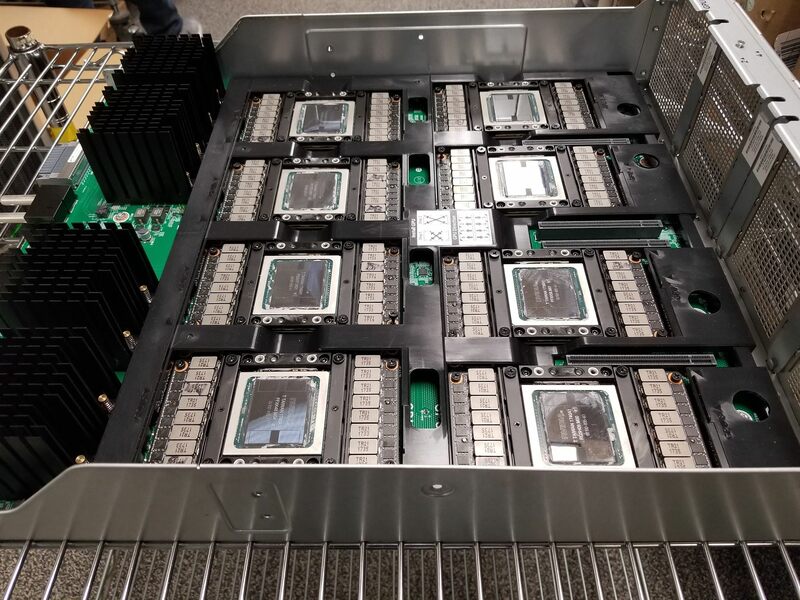 Titan and Quadro are already using the GV100 die, so it will be interesting if Nvidia carve out more than one bin of "GV102", and if multiple of those will be consumer products. Nvidia have made large chips for the mainstream before, like GM200 at ~601mm². It really comes down to yields and production volume. 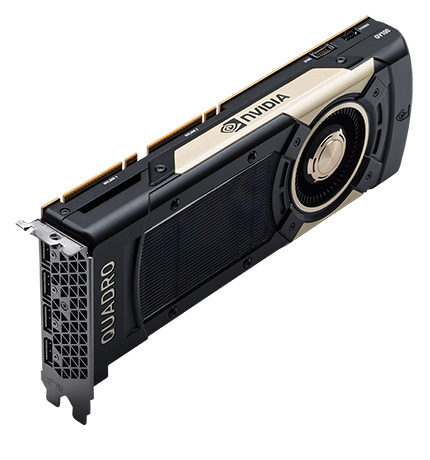 GP102 struggled a lot with yields, leading to Titan X (Pascal) being sold out despite its high price and GTX 1080 Ti being delayed from around December 2016 to March 2017. The larger GP100 didn't seem to suffer from such problems, so it comes down to mistakes in the design, and GTX 1080 Ti did eventually ship in very high volumes. Similarly, the launch dates and prices of "GV102" based products will depend on yields. Me thinks it is an engineering card to test what will become an NVLink product. Most definitely not a SXM2 (left card) proto... those are and will remain HBM2 and followups...simply no room for gddr6. The right card is a 150w full Volta core enabled Tesla... albeit greatly reduced clocks. SXM2 is 300w, full sized pcie 250w, and baby volta 150w. Had to go dig through my pictures, the baby v100 (150w variant) is not nvlink enabled, no gold finger, the big one can do 2 way, and the sxm2 can do 4/8/16 way. Most servers are 4 or 8 sxm2 though... only dgx2 supports 16 way...and costs what 400k. My guess would be quadro or consumer volta/turning sample for testing gddr6.